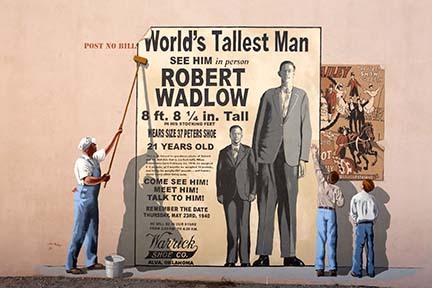 Robert Pershing Wadlow, the tallest man in recorded history visited Alva, Oklahoma in 1940 on a promotional tour for the Peters Shoe Company. Driven by his father, he arrived in a 1938 Ford sedan specially modified to accomodate his 8-ft. 4-in. frame. 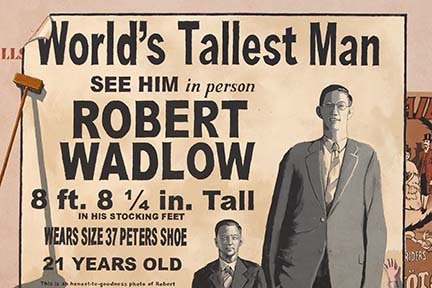 A few months later Wadlow died at the age of 22.